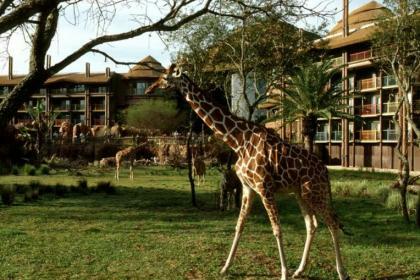 Disney's Animal Kingdom Villas, Kidani Village is an African lodge-style resort boasting accommodation which offers self-catering facilities such as kitchenettes/kitchens. 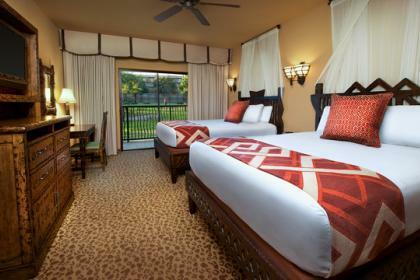 The Kidani Villas are located at Disney's Animal Kingdom Lodge. 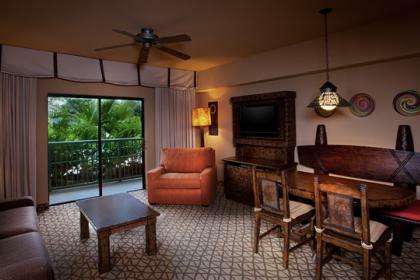 The lobby and the Villas of Disney's Animal Kingdom Villas - Kidani Village extend out and take the curlicue shape of a water buffalo's horns. 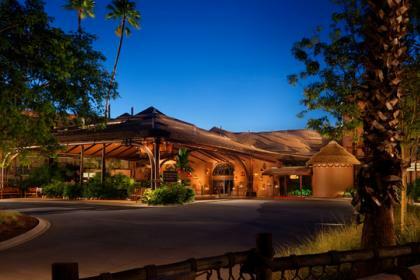 This string of buildings can also be viewed as a piece of native African jewellery, a "necklace" with Villas forming the beads, garden-like walkways creating the "knots" in between and the main lobby building as the ornament or jewel at its center. 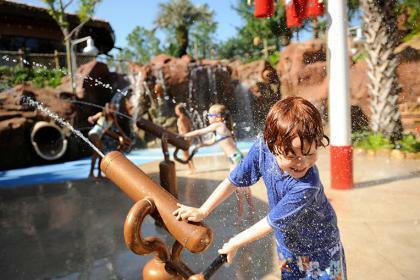 Featuring over 30 species of wildlife that roam free amidst a 21-acre wildlife preserve that includes lush, tropical savannas, Disney's Animal Kingdom Villas - Kidani Village offers you the unique opportunity to observe exotic animals in their natural habitat from special viewing areas throughout the Resort – and from the balconies of select Guest rooms. 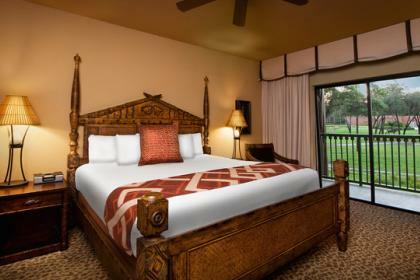 Disney's Animal Kingdom Villas - Kidani Village has been designated by the Florida Green Lodging Program, recognising the Resort's environmentally responsible practices. 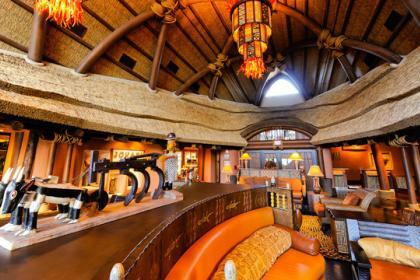 The Cooking Place - This restaurant serves African cuisine along with South African wines, and is open for dinner only. Jiko’s specialty is creative American cooking with a blend of multicultural influences from the Mediterranean coast, India, and Europe including seafood, steak, chicken, and vegetarian offerings. 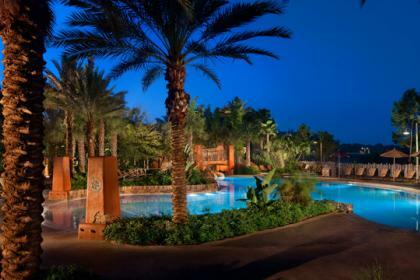 Flavors of Africa - Designed to replicate an African marketplace; Boma offers buffet-style breakfasts and dinners. 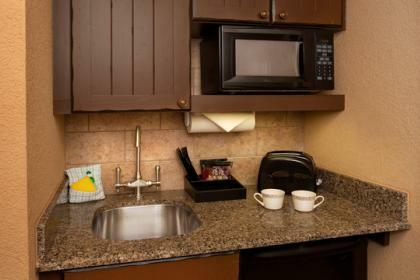 Open kitchens allow guests to watch the culinary team prepare salads, vegetarian dishes, grilled seafood, and roasted meats inspired by the varied flavors of over 50 African countries. Open daily from early morning till late evening, this quick-service food court serves hamburgers, salads, sandwiches, pizzas, and beverages to go. 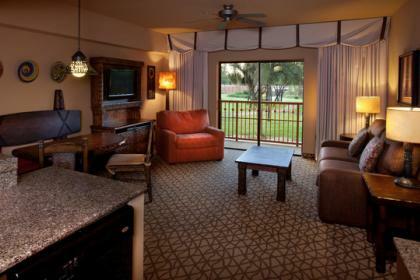 A quiet spot overlooking Boma - Flavors of Africa, this lounge offers specialty coffees, teas, and other beverages. 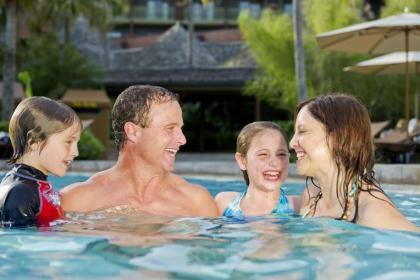 Cold beverages and a variety of frozen specialty drinks are served poolside next to the resort’s main zero-entry pool.